Please complete this form to the best of your ability. Supplying us with this information will help us determine the best fit for our fostering needs. We are always in need of foster homes, and the more we have, the more animals we can save. The following questions are used by the staff of the The Fort to better evaluate your strengths as a foster home and to more adequately match your home with the appropriate companion. Please list all persons living in your home and their ages. DISCLAIMER: I understand that completing this application is not a guarantee that I will be approved to foster a pet. The Fort has the right and responsibility to deny any application. By submitting this form, I agree that all information I provided on this application is, to the best of my knowledge, true and complete and permission is granted to call any references I have include on my application. I understand that falsifying answers on the application, or at any other time during the adoption process, disqualifies me from fostering. Additionally, I acknowledge that The Fort does not guarantee the health or temperament of any pets placed; however, every effort is made to provide accurate and detailed information about all pets in our program. Volunteering to foster a pet is one of the greatest gifts you can offer! We appreciate your willingness to help and will work with you to make it as easy as possible. Please read over the information below which should help you decide whether you’d like to help us foster a homeless pet. Financial responsibility. The Fort will provide all medical care and food expenses for your foster pet until he/she is adopted permanently. You will be responsible for items required for daily care, such as chewies, toys, and beds/blankets. Transportation to/from the veterinarian will be worked out with The Fort, if necessary. Medical care. All medical care MUST be pre-approved by The Fort. If an emergency arises, do not hesitate to take the pet to the nearest facility for treatment, however, at your earliest convenience, notify The Fort. Emergency medical expenses will be reimbursed. Daily care. Unless otherwise instructed, we encourage at least one daily walk with the pet, fresh water daily, food twice daily and lots of love. Please watch for all escape routes and be mindful of open doors, open gates. Foster pets are NEVER to be left unleashed, unattended, or unsupervised outside. Problems. If you are experiencing behavior problems or any other issues of concern, do not hesitate to call us! We are here to help you through this process which can be difficult at times. Because you volunteered to foster, does not mean that it’s a good fit with the particular dog. This happens sometimes. Let us know and we will find an alternate foster if necessary. However, we ask for (if possible) a minimum of 2 week notice. Adoptions. Our organization will be actively reviewing adoption applications during the time you are fostering. We screen extensively so some cases take longer than others. In the event you are interested in adopting your foster dog, please notify us right away so we can discuss it. Matching criteria and adoption fees still apply. If people you encounter are interested in adopting your foster dog, please refer them to The Fort or contact us at (336)505-9199 or at thefortrescue@gmail.com. We also ask that you make the pet available for us at the various adoption events (i.e., Petco, PetSmart and etc.). Schedules. If, for any reason, you need to go out of town or away for a weekend, please notify us two weeks ahead of time. Do not let your neighbor or friend care for the animal until approved through our office. Contacts. Email is the easiest way to reach us, but call if needed! Ownership of the Pet. 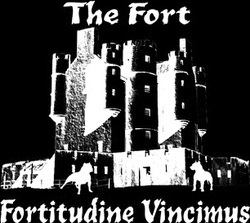 The Fort- Fortitudine Vincimus Rescue Center is the legal owner of all foster pets in our rescue program until they are adopted and ownership transferred. We are entrusting you with this very special pet and trust that you will provide a loving and safe atmosphere for it.